Marijuana Blog On Growing, The Latest Laws, Vaporizers N More! Welcome to Our Blog On Everything Marijuana Related! This section of our site is dedicated to news and anything that is related to Marijuana and that is newsworthy. So expect anything from legal news and laws as well as tips on growing or vaping. With so many states going the route of legalization it won’t be long before the whole country joins the revolution and we can all enjoy our weed legally. With its many uses for medicinal purposes as well as just taking the edge off and helping you decompress after a long day. The Destigmatization Of Marijuana & Its Benefits! As legalization is on the rise more and more studies are actually showing the benefits of marijuana. 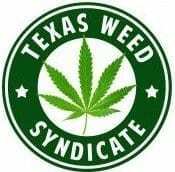 Finally, the stigmatization of this plant will start to stop and the truth will be known. Its uses have been many over the centuries its just in the last 100 years or so if that long that it started to become an outlawed product. As we study it were finding its less harmful than alcohol and that it’s not a gateway drug but rather the opposite. Good results are coming from allowing addicts of harder drugs to use marijuana as a step-down drug to ween them off harder drugs. 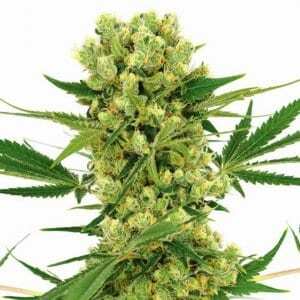 There also more forms of it whenever as well as true experts in the growing and blending of different strains to get a plant that has the most appropriate effect for the needs of the user. As we move more towards the legalization of marijuana the rise of different types of products that contain it are on the rise. Wax- this is a concentrate made from marijuana that is quite potent. Various oils – some are made for smoking as well as ointments for applying topically. Coffee – there is a coffee company in Colorado that has infused their coffees with THC to give you the best of both worlds. Also how you choose to take in marijuana has changed with modern technology you can use a vaporizer and vaporize it or use an enail as well as your old school pipes and bongs will do the trick! Of course, edibles is another way that you can enjoy this plant. Now be careful edibles are not for novices usually so be careful when you first try one. Its also deceptive becomes some of the edibles are tasty and don’t give an indication of their being anything in there that would have an effect on you. We are always looking for contributors to this section of our site. So if you got a story you want to tell that is marijuana-related contact us. Maybe your best grow or favorite smoking product and why. We hope you enjoy our site and come see us often!